This month I received 6 samples with a good range of makeup, skin care and hair care items. 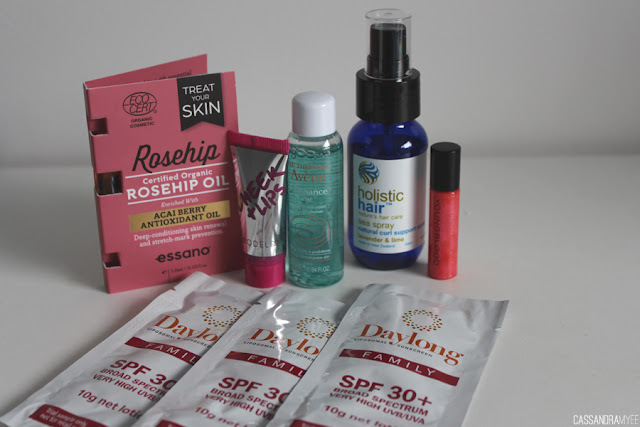 I have been using the Trilogy Rosehip Oil for a couple of months and I absolutely love it, so I am looking forward to seeing if this one will have a similar result. It does have some differences as it has added acai berry antioxidant oil mixed with the rosehip. 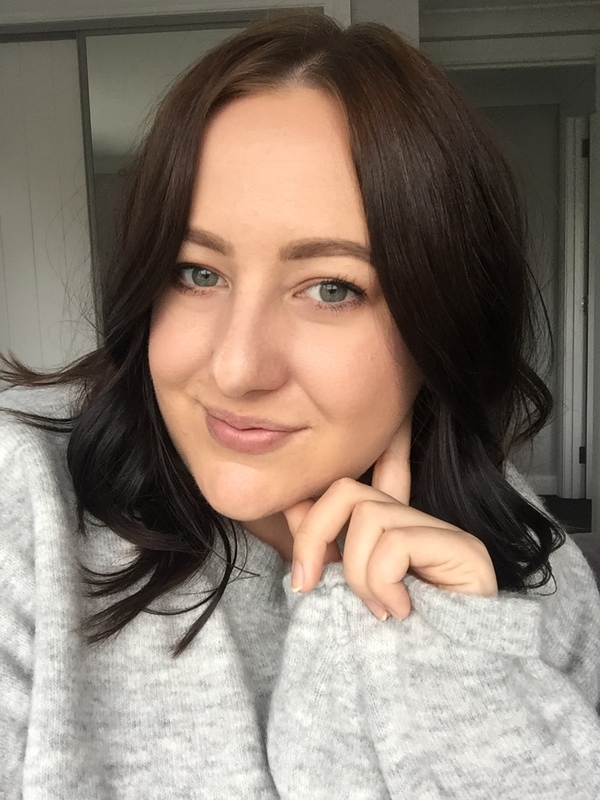 The Essano range is fairly new in NZ and is very reasonably priced, I sampled the cleanser from the range in last months Glam Pack and was pleasantly surprised with it. The sample is only 1.5ml but you only need a little bit each time. 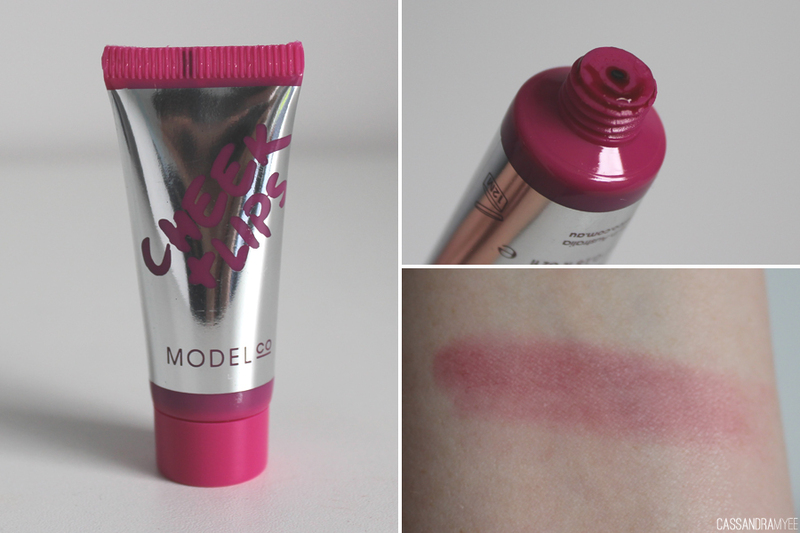 This product instantly drew my attention (maybe because of the cute packaging and the fact it is hot pink!) This is a lightweight formula that has dual purpose for cheeks and lips, which sounds quite similar to the Benetint from Benefit. 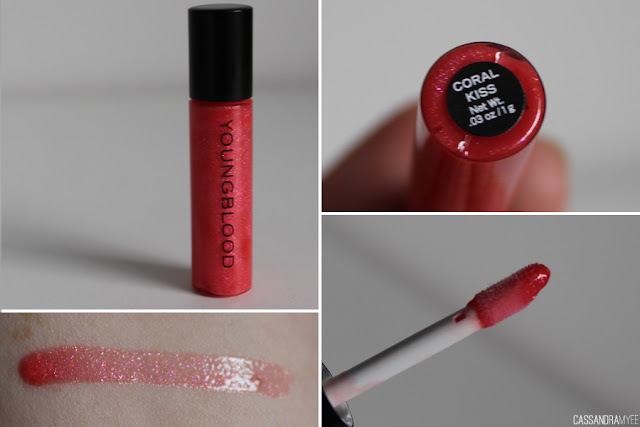 It has a light, gel consistency and I really like the colour from the swatch and look forward to trying it out over the month. This is a really good sample size at 25ml, meaning you can actually use it a number of times to get a real feel for the product. This particular cleanser is for oily/blemish prone skin (right up my alley) and is soap free so it doesn't strip the skin but still eliminates impurities and excess oil. 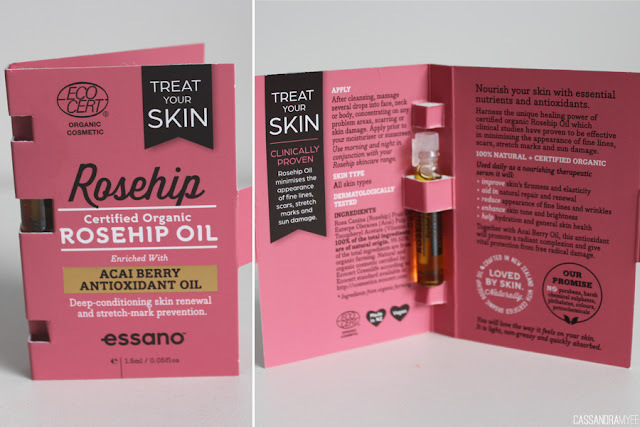 It sounds really nice and I look forward to seeing how it treats my skin. 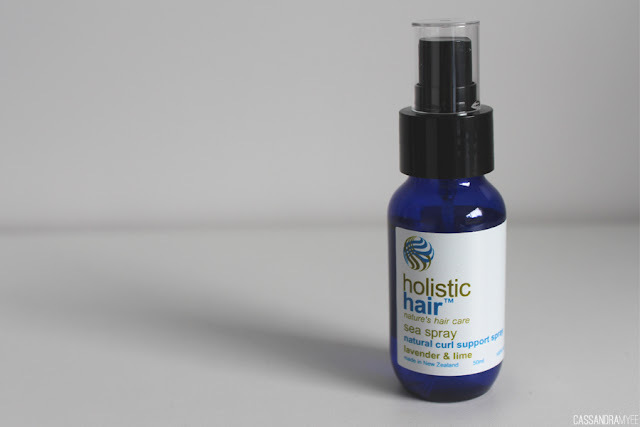 I love the sounds of this hair product, it aims to recreate 'soft summer curls and waves' and is packed with oils such as lavender, orange and lime as well as certified organic NZ sea salt. 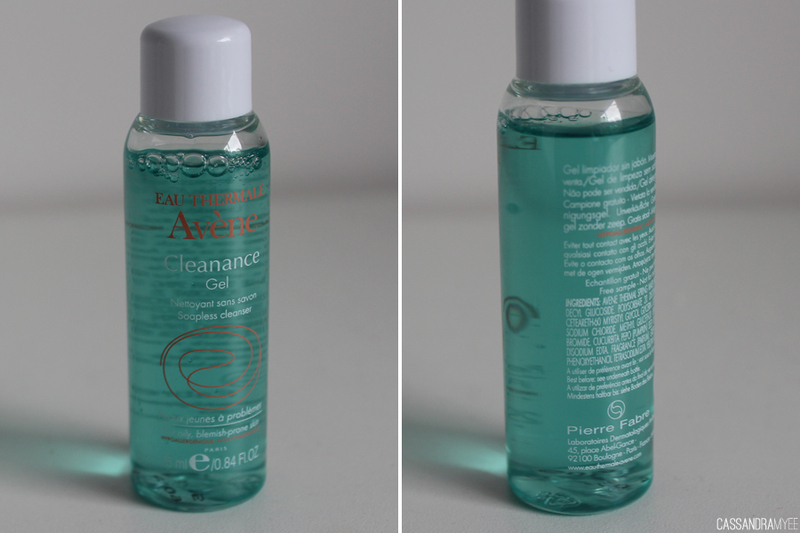 It is a great sized sample at 50ml and is NZ made and I am all for supporting that! 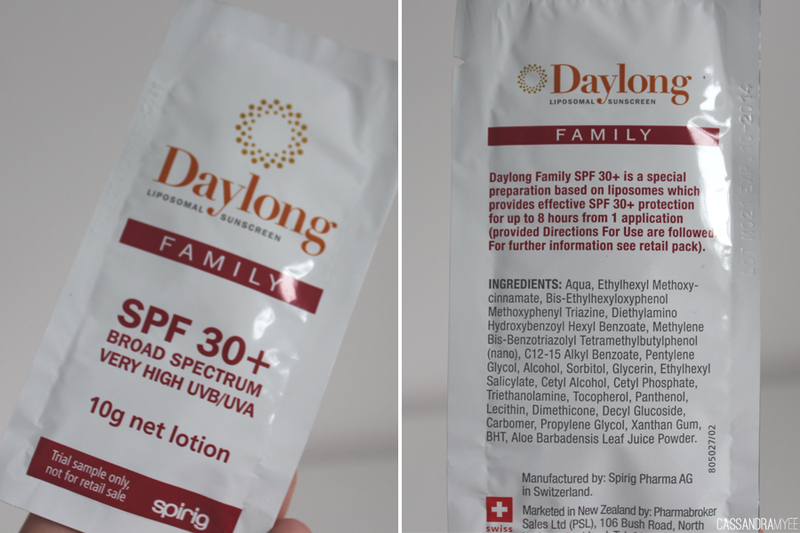 The last samples are 3 x 10g samples of the Daylong Sunscreen. I am hoping this lives up to its claims as being non-greasy and light, as there is nothing worse then the feeling of greasy sunscreeny skin. This is a Swiss brand which I have never heard of and apparently this sunscreen will protect for up to 8 hours! 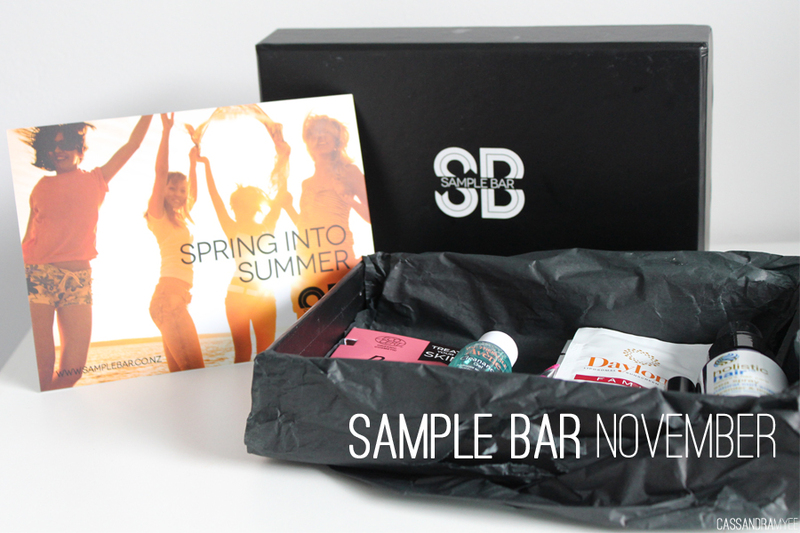 I think there are some promising products in the November Glam Pack and I look forward to putting them to the test over the next 4 weeks! 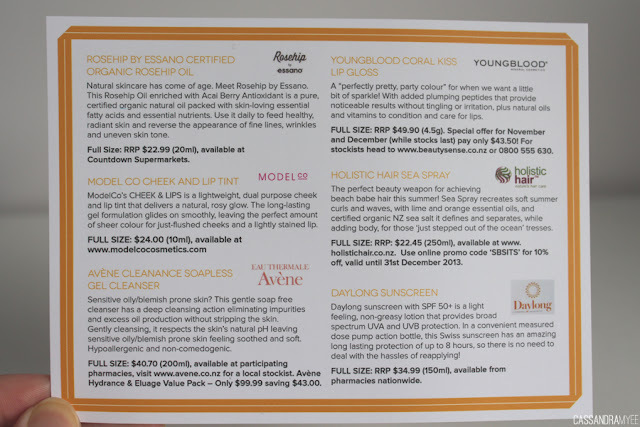 If you have tried any of these products, let me know your thoughts on them!